Thanks for writing a review of the episode. I liked the episode but I understand what you are saying about being disappointed in it. I thought that it would somehow be "bigger", I guess, even though I don't have much of an idea of what I mean, exactly. The 200th episode was that wonderful high school musical! It was a real shout out to fans and had so much going on! We even got the Samulet back! And singing...and God, I think. After all of that I'm not so sure what the 300th could be. 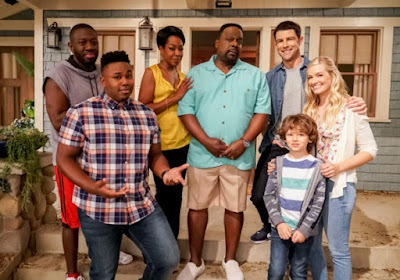 Maybe they decided to focus more on family? I thought that there might be some discussion with John about how he'd "send Dean away" which was mentioned last week. I thought that's why that was even brought up. And John was really so reasonable. 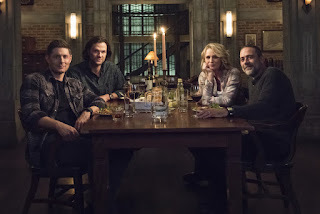 I read another review that discussed John's calm reactions to finding himself in this bunker with his sons who are now kind of supernatural themselves having been possessed by angels and demons, being friends with the CEO of Hell and such. The review suggested that John wouldn't have been so reasonable about everything. He was kind of a pyscho around 2003. And I always wondered how long John had known about Sam and the demon blood. It was nice, I suppose, to get some closure with John for Sam and maybe some fans. I felt that Sam got closure with John in a much earlier episode when Sam and young John have a heartfelt conversation. It was a time travel epi that I can't remember the name or the season. Enough of me! I do get your feelings about the episode. Could certainly be seen as an understatement for a big moment. Always appreciate your comments, Susan! It was a much quieter episode than I was expecting, maybe that's why I was a bit disappointed. I really liked both the 100th and 200th episodes, so I was basically thinking it would be the same here, especially since John was going to be back. I guess he just... didn't feel like John? It's been so long since John was on the show, that I guess he's become more of a myth than a real person anymore. But yeah, I kind of agree with the people who were saying he wasn't really acting like the 2003 John would have acted. He just accepted everything and moved on in what felt like five minutes or something. I also agree with you that it felt like the boys kind of already got closure with John through the years, so it wasn't necessarily needed here in the same way. In that respect, it might have been more interesting to see more of the John/Mary connection. Then again, the show is about Sam and Dean, so I'm sure people would've been upset if that was more of the focus. I agree that John didn't feel like John but I couldn't really figure out why. I think you've got it right-he hasn't been on the show for so long he really has become more of a myth so maybe it's difficult to capture what he would do. Although I'm still thinking 2003John-who told his youngest son to never return because he was smart enough to get a full ride to college-wouldn't really have smiled so gently at his grown sons. The John that landed in the bunker seems like the John who'd spent time with the boys in season 2, the man who killed Yellow Eyes and gave his life for Dean's-like a wiser John. I really don't get why Dean brought up how he'd seemed to side with John against Sam and how John sent him away. It just seemed like a set up to discuss these things when John showed up. But maybe that would have been too negative? I've always thought of John as a complicated person who was an unintentionally bad parent. I wanted that addressed! A more detailed John/Mary connection would have been so interesting. I mean he's never gotten to discuss hunting with her, right? She did all that stuff that ended up with Sam having demon blood dropped in his mouth. And John didn't have a clue. 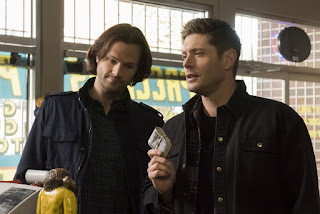 And the whole Men of Letters thing-Hunters being the brawn and the MOL being the brains and how Winchesters fuse the two sides...How the Cupid made the two of them fall in love...And when DID John find out about Sam's demon blood and those powers??? Of course I say all of this and would probably be a person who'd be sad if the focus had been on John and Mary. Ha ha ha!! Anyway-the possibilities were kind of endless and it would have been nice to maybe explore at least one of them. 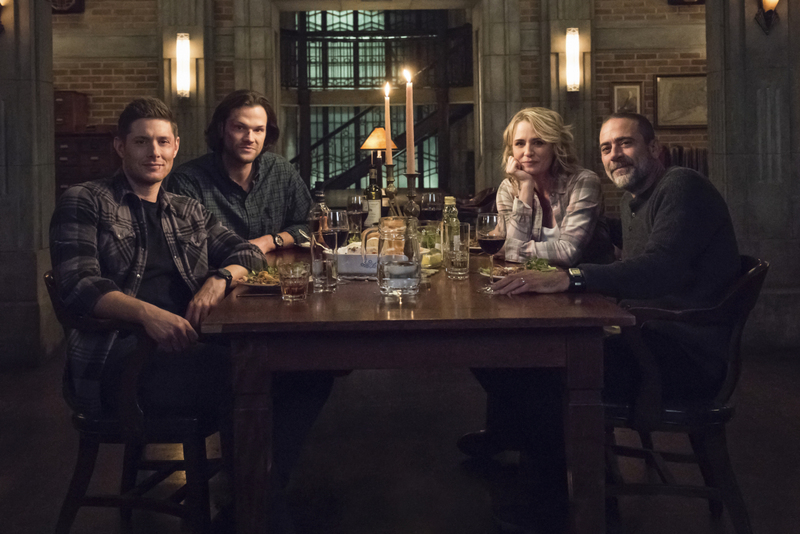 I think we were supposed to just be happy to have a scene of them all sitting around the table together. I would have liked hearing the conversations, though, instead of only having a montage of them talking. Maybe the 300th thru the 305th episode should have been celebrated and the John could have hung around a little longer! !